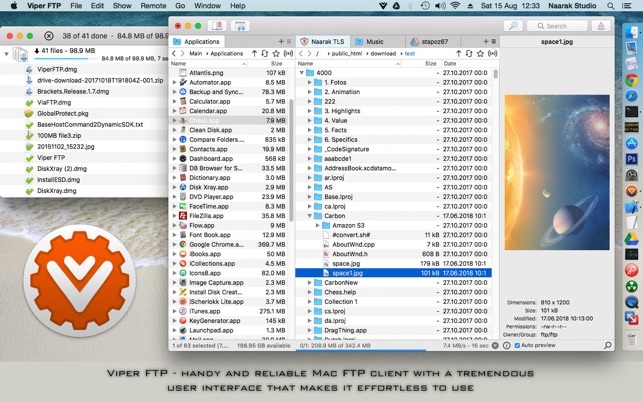 User-friendly and reliable Mac FTP client. 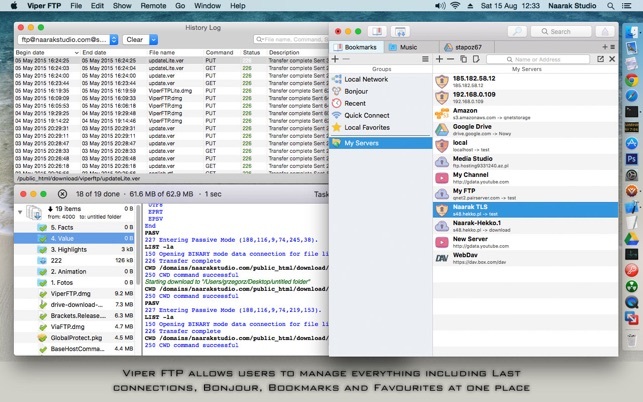 Viper FTP helps in local and remote file management (FTP, FTPS, SFTP, WebDav, Amazon S3, Google Drive and YouTube-upload). 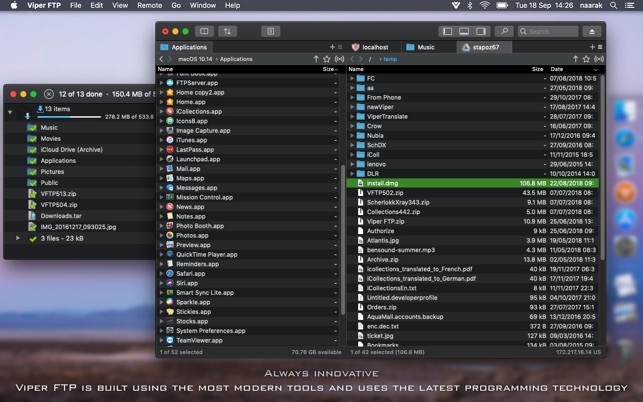 All hidden and system files are visible allowing users to locate a file just by typing its name. 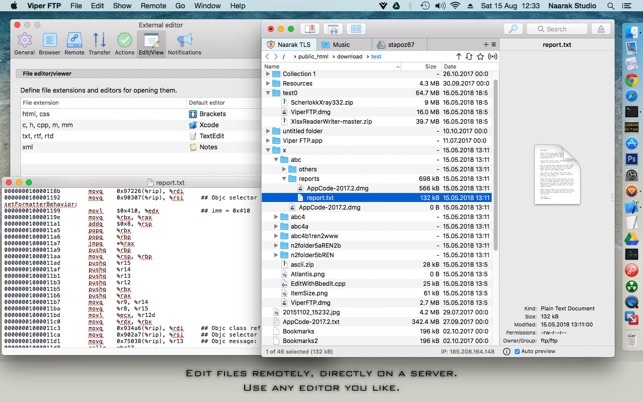 Viper FTP allows users to share items via a Mail app, make the HTTP URL of a specific file and swiftly compare files and folders. 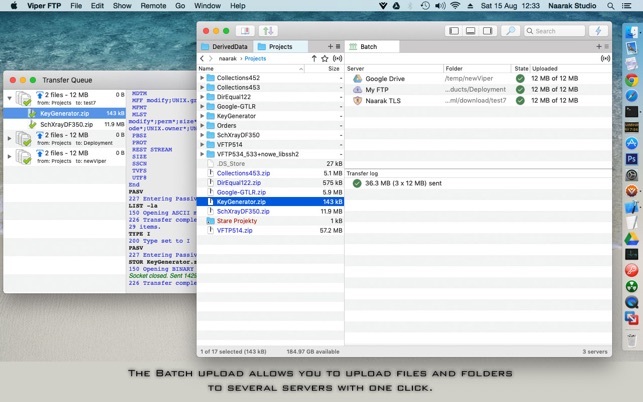 - Batch uploads - upload files and folders to multiple servers with one click. 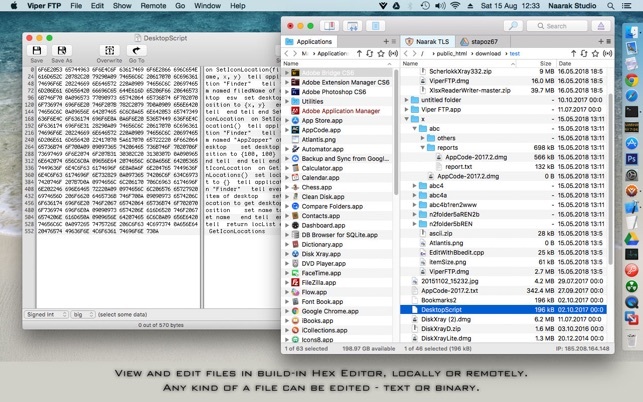 - Local file encrypting and decrypting using AES-256 standard. - Local zip, tar, tgz, gz archive management. This saved my bacon - I had another FTP client that kept hanging on larger files causing endless frustration. I used the free version of Viper FTP and it worked so well that I have upgraded to full.